- Change the name of the map. - Switch the game mode. - Enable and disable the option "Always day." 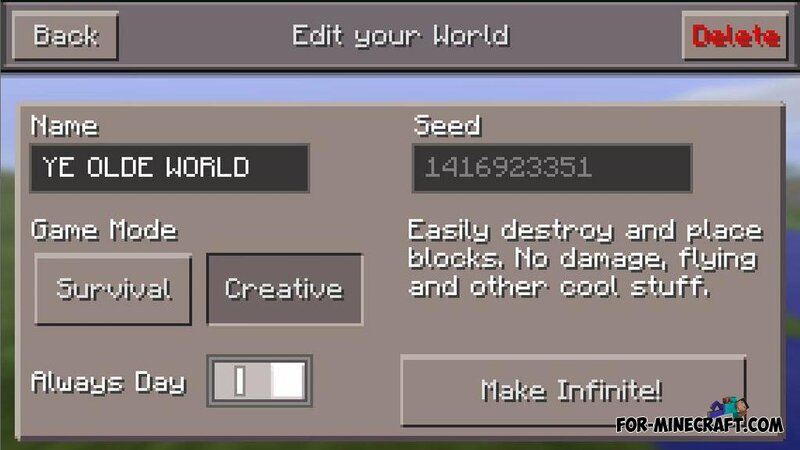 - And coolest - the button "Make a world of endless."